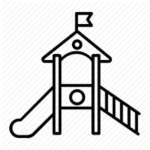 Central School’s administration and the PTA have partnered together in a joint fundraising effort to improve our playgrounds. Click HERE for more information and a sneak peak of what the playgrounds may look like! Contributions to Pathway to Play will be used exclusively for the new Central School Playgrounds.